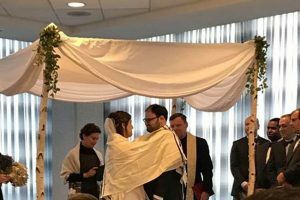 Wedding Email Series: If you and your partner are from two different faith backgrounds and planning a Jewish or Jewish and… wedding ceremony, there’s a lot to consider. We’re taking all our expertise and dishing it out in seven emails designed to offer ideas and options, answer common questions and connect you to a wealth of additional resources (and other couples!) so you can plan a ceremony that’s right for you. Click here to sign up. 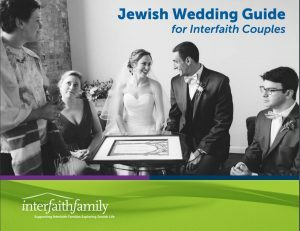 Our Jewish Wedding Guide for Interfaith Couples offers an inclusive guide to Jewish interfaith weddings. We also have tips for inclusive weddings that honor and respect different backgrounds. 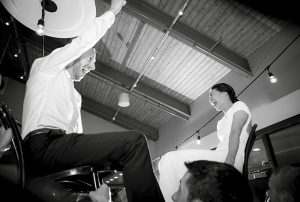 Looking for a rabbi or cantor to officiate at your interfaith wedding? Our free referral service can help. Our wedding bloggers thoughtfully take us through their planning process in the months leading up to their weddings. 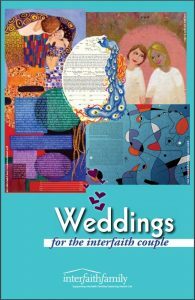 Our updated booklet, Weddings for the Interfaith Couples, is full of explanations, tips, resources, and more. Are you a member of the Jewish clergy who officiates, co-officiates or counsels interfaith couples? 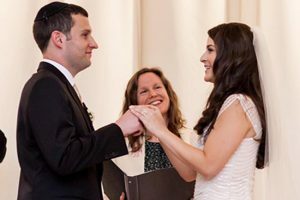 Fill out our Jewish Clergy Survey so we can connect you with local couples. You’ve decided to be married by a clergy (or two). But what’s next? Seven Questions To Consider Before Meeting With Your Interfaith Wedding Officiant. 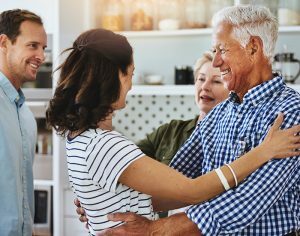 When some parents first find out their child is marrying someone who is not Jewish, they may not feel like celebrating. If that’s you, our Resources for Parents of Children Who Are in Interfaith Relationships are here to help.